This account is for the on www.poutperfection please read specific posts for contributor details or how to contact them, alternatively email Pout Perfection for more information. For months I have been hearing about this beauty brand and that it was only available in certain Clicks stores. So when curious me got to try out a Red and a Glittery polishes I was rather happy. I generally hate red on nails but decided I would use it paired with a glittery red on an accent finger. I totally love the brush , smooth strokes and no excessive polish dripping all over. I used a base coat and 2 coats of the polish. Extremely impressed as its lasted me 5 days before it started chipping and that to me was the sign to remove it. During the festive season I tried on the glittery on I used it as an overcoat of a beige/brown colour. I had to use several coats to get the colours of the glitter evenly over my nail. Once on it was rather pretty and I did get a few compliments. And the removing the glitter polish was a nightmare it took me ages, I scrapped and had to soak my nails. I wasn’t impressed with that and since then I have not used glitter polishes again. I am keen to try out the other colours and products in the Wet n Wild range, I just wish more stores with stock them. Disclaimer: These products were sent as part of a press preview, this has not altered the view of these products in anyway. Rain Africa is one of those amazing South African local brands with a story that is just as amazing as their products. 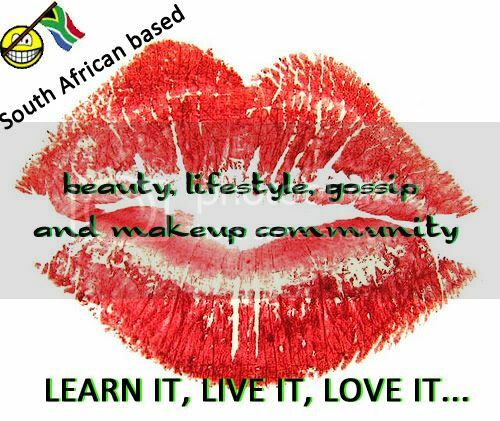 The product range is made in Cape Town and now found all over South Africa and around the world. In the range a selection of soaps, creams and face washes can be found. All products are handmade with love and you can definitely feel it. Every person who works for Rain Africa has an amazing story and all make up the extended Rain Africa family. I was sent this beautiful Luxury Artisan Soap to review. 1)Simple packaging which can be recycled. 4)100% Natural so no chemicals have been used to make the product. 5)The smell which is so natural , fresh and clean. 6)It tells me that my soap was made by the Artisan Florence. 7)Small batches of the soap are made so its rather special. 8)A moisture rich lotion has been used to make this bar. Last year a book was launched by Bev Missing the owner of Rain Africa on soap making. So why not try your hand out at making your own natural soap.For more information on Rain Africa products check out www.rainafrica.com. Disclaimer: These products were given as a gift in a goodie bag, this has in no way altered the view of these products in anyway. When I heard Sorbet launched their own skincare range last year, I was extremely excited to give these products a try. Not much later Fi sent me these to be reviewed. I first finished the products I was using at the time, and excitedly started to use the Sorbet products. I was sent the Hydro Skin SPF15 Day Cream and the Hydro Skin Night Cream. The Hydro Skin range was specifically developed to rehydrate tired and thirsty skin. If I would have purchased it, I would have chosen the exact same products. I am almost 33 years old and living in Mpumalanga with the dry and unpredictable weather really takes a toll on my skin. The packaging of these products are beautiful. They look like glass pots, but are actually plastic. They look quite good on my dressing table with their clean cut look, compared to my other pots , bottles and potions with their overly branded labels. The Day Cream is a rich face cream with a scent of fresh greens. Because it has a built in SPF of 15, I have stopped using a sunblock on my face daily. Eliminating one product during my morning routine really does make a difference. My skin feels hydrated after application in the mornings, but the best part of this product is the fact that the moisture stays there the whole day. With this product I have no dry patches making their nasty appearance during the course of my day. The Night Cream is a richer cream than the Day Cream also with a fresh green fragrance. I do not like my night creams to be overly fragranced to prevent irritation, but this scent is so subtle that it does not leave the skin feeling irritated or over stimulated. Of the two products, the Night Cream is my favourite. It is soothing and moisturising. In the mornings when I wake up my skin feels hydrated, soft and plump. The Hydro Skin range contains ingredients like Hyaluronic Acid, Omega 3 & 6 Fatty Acids, and Vitamin A & E which are great because I have always loved for my skincare products to have Vitamin E in. It gives the skin that extra boost that we need with factors that damages it over time. It has been a joy using these products. I also purchased the Sorbet Salon Skin Daily Polish Powder (R220) and it is a lovely product. Combined these three products make my skin feel soft, hydrated and moisturised. I will happily only use these products for the rest of my days as they compliment my skin in so many positive ways. You can find the Sorbet products at Sorbet Salons and Clicks stores and both the Day and Night Cream will only cost R155 each. Finally a budget beauty range that does a great job! Disclaimer: This product was in a goodie bag at the end of the #SorbetSkinShow in Cape Town, this has in no way altered the review in anyway. Meet Jordan Walker, one of the regular contributors at the Coops And Cages blog. As one who shares the same interest in dogs, Jordan will talk about those good and bad ingredients that could be found in our pet dog’s plate. Dogs are one of the best animal companions. They could be your partners during your morning walk at your neighborhood’s nearby park. They could be your silly roommate that keeps you away from being bored. Or they could just be your energy fix when you’re feeling down. Because your pet dog makes you happy, you feel the need to feed him more as a token of gratitude, as a sign that you also care for him. The happy face that you see from your dog when he’s eating makes your heart filled with warmth. But as a responsible pet owner, you need to be more aware and more conscious as to what you feed your dog. You want your pet to be happy, too, right? In this article, you’ll be able to know the good and the bad ingredients to your waggling animal companion. Meat is an essential part of a dog’s diet because it is a great source of protein. Protein consists of amino acids which are important for your dog’s growth and development. Meat could come from chicken, duck, turkey, pork, beef, lamb and salmon. The lean parts of these meat sources are considered good meat, but how about the so-called bad meat? Bad meats are generally the by-products of slaughtered animals such as the head, neck, lungs, liver, kidneys, blood, bones, brain, spleen, etc. Though most people think that these by-products are also meat since they come from animal sources, they are not really classified as meat because they lack real meat content. Plus, these by-products might be consisting of diseased tissues and organs. Depending on the breed, size and activity of your dog, his protein requirements differ from any other dog. Foods containing carbohydrates provide energy to your pets. Examples of carbohydrate-rich foods are whole grains such as corn, soy, wheat, rice, barley, oats, potatoes, sweet potatoes, peas, and many more. It is often debated that dogs don’t really have a nutritional need for carbohydrates but they could still burn carbohydrates to use as an extra source of energy and help improve their digestion. You may include whole grains in their diet as long as you provide them with quality ingredients. But among the whole grain products that you should cross out in your list are corn, soy and wheat, as well as the milling leftovers. This is because these whole grain products are only considered as cheap fillers in any dog food. Fats have gained a bad rap in animal nutrition, but not all fats are bad. Essential fatty acids such as omega-3 and omega-6 are among the good fats that your pet dog needs. You could derive these good fats from salmon oil, flaxseed oil, canola oil, chicken fat and pork fat. These essential fatty acids add flavor to your pet’s food and they also help your pet to maintain a healthy and shiny coat. On the other hand, animal fats which are obtained from the “4-D” class (dead, dying, diseased, disabled) are obviously bad for your pet’s consumption. If bad fats are fed to your dog, your pet would be at risk of developing health problems such as obesity. Preservatives are usually added to your dog’s kibble to prevent early spoilage of the food, as well as improve its taste. Though preservatives are generally attached to the notion of unhealthy and artificial, there are actually preservatives which are good for your dog such as the natural tocopherols (vitamin E) and ascorbic acid (vitamin C). Ethoxyquin, propylene glycol, BHT and BHA are some of the artificial preservatives you have to watch out for when choosing dog foods. These artificial preservatives are often linked with the development of several health conditions such as cancer, kidney and liver damage, and intestinal blockage. Now that you have known what’s good and bad for your pet dog, it is really essential for you to read the dog food’s label. If you want your pet to stay healthy, stay away from the abovementioned bad food ingredients. As to how much good food your pet dog should consume, always ask your vet first. Dogs have different built, activities and health conditions. Based on their current health status, your vet may prescribe your dog to eat as much as this or as little as that. But generally knowing these tips, you know what food ingredients need to be consumed or avoided. Dogs would feel your love for them if you treat them as you love yourself. Provide them shelter, give them nutritious food and play with them! I love natural products and this was the first time that I used products from Naturals Beauty. I was sent a Milk cleanser from their essentials collection. Naturals Beauty is a Cape Town based family company that makes all natural products that are free from Petrochemicals, Parabens, Synthetic Fragrances and any harmful chemicals. The company was started when they realised the South African market were seriously lacking natural beauty products that were free from nasties. They aim to supply products that are affordable, have great quality and are totally natural. Polyphenols (Apple extract) – Has anti-ageing properties. Omega Oils (Avocado oil) – Moisturise, Smooth, hydrate and refresh. Sutherlandia and Cucumber – Keeps the skin healthy and radiant. The milk cleanser has a creamy, thick consistency(it is not at all runny and watery like you would expect a milk cleanser to be, it is more like a lotion) and smells wonderful. The scent is not too overpowering and you can smell it is naturally fragranced. It felt sheer and creamy when I applied it to my face. I gently massaged it into my skin and rinsed it. My skin was clean, refreshed, soft, smooth and any traces of my makeup was gone. I have been using it for two weeks now and it has not irritated my skin in any way, nor has it clogged my pores or left me with breakouts. This product actually calmed down my seriously over-stimulated skin in a very soft, yet effective way. I love the fact that it is all natural and that it is so extremely gentle on my skin. I will definitely explore the Naturals beauty range more in future. Disclaimer: This product was in a goodie bag at a #BWB event. This has in no way altered our view of the product in anyway.